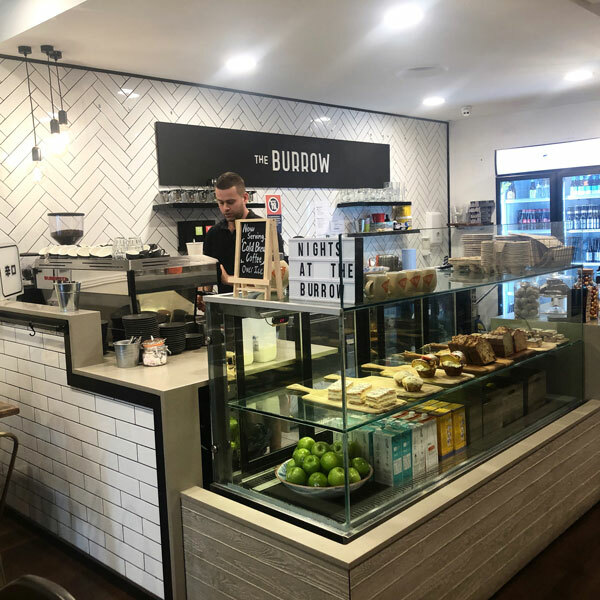 The Burrow is a welcoming family-owned cafe in Cherrybrook that’s serving up some delicious dishes! We popped in to check it out. The Burrow sits in a little group of shops, fondly known as Appletree shops (how cute is that? ), in the back streets of Cherrybrook. It’s a great little spot for locals and those visiting the area. The parking is easy (right out the front and we’ve always got a spot) and there’s also plenty of room for prams. Both these things get ticks from mums and families. The cafe offers an all day breakfast menu and a lunch menu from 12pm – we love an all day breakfast menu as we admit we often like breakfast dishes for lunch! 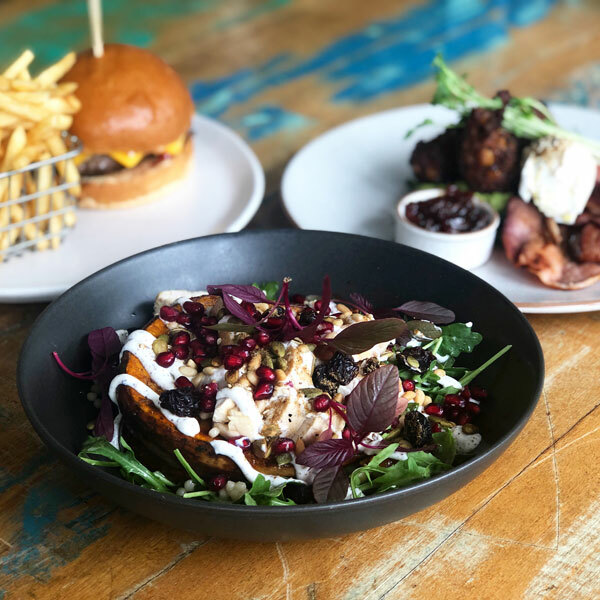 They’re also open for dinner on Friday and Saturday nights – this would be a nice cosy place for a casual date night dinner or an early meal with the kids. 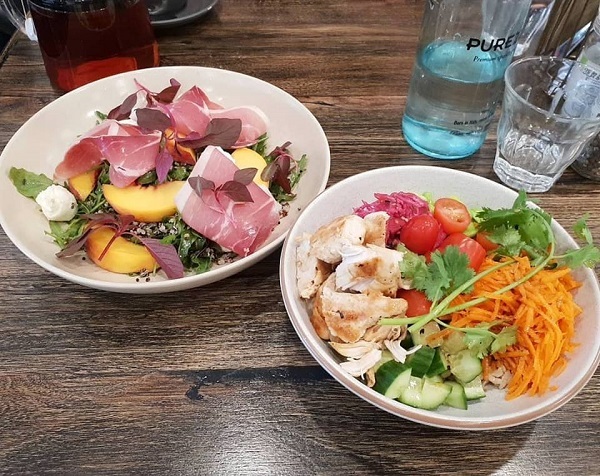 Or the peach and proscuitto salad (a current special) and the beetroot & meredith feta salad with roasted beetroots, mixed leaves, glazed Dutch carrots, lentils, meredith feta, walnuts and a maple dressing. There are also other healthy options that offer a rainbow of goodness on a plate such as the Soul and Nourish Bowls. But for those that want more substantial options, never fear, you’re catered for too! There are numerous burgers, a steak sandwich, fish & chips, a prawn linguini which sounds delicous and more. And then of course, what about those with a sweet tooth?! 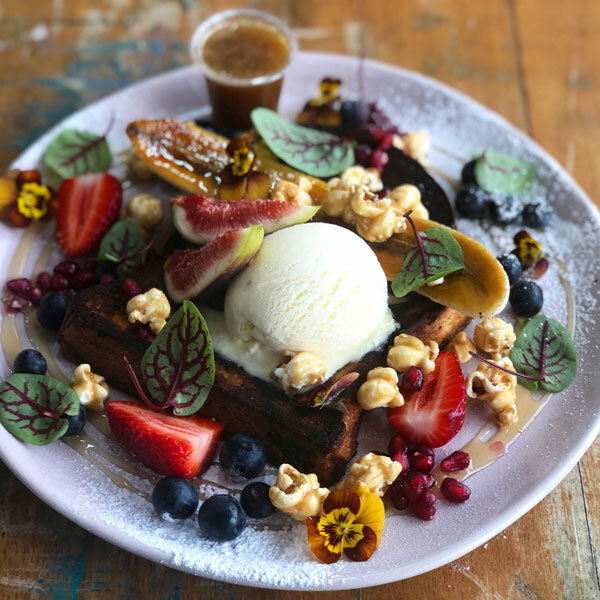 Well, for dessert we couldn’t go past the brioche French toast with salted butterscotch sauce, vanilla ice-cream, caramelised banana, seasonal berries & popcorn. The butterscotch sauce was to die for – we had to resist slurping it from the dish. And we figure this was pretty much healthy given the smattering of four fruits with blueberries, strawberries, figs and banana. Right? 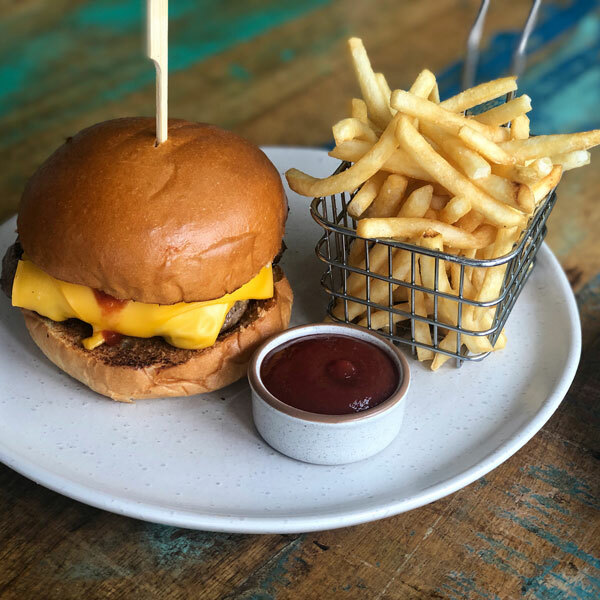 Kids are catered for with their own little menu that includes classic kids’ dishes such as eggs on toast, a ham & cheese toastie, the ever popular nuggets & chips and a cheeseburger. The cheeseburger is a generous size and, depending on how much your kids eat, could possibly be shared between two kids. And we’re sure the waffles on the kids menu are super popular too – we know what our kids will pick when we visit with them! 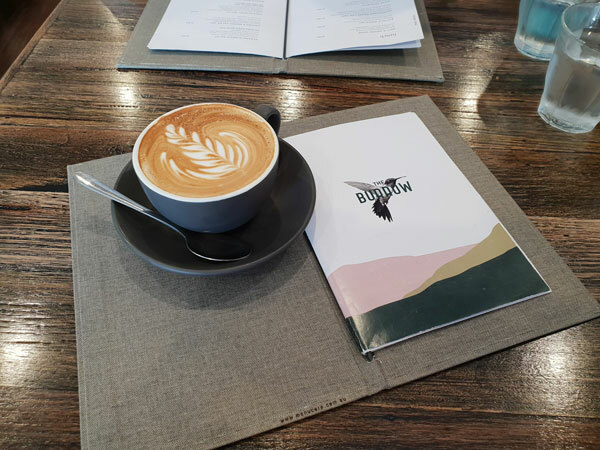 And while we’re on the topic of kids, The Burrow has a great deal for April which is perfect for school holidays – kids eat free for the whole month! How good is that?! (Kids 12 years and under, dishes from kids menu.) Just mention Hills District Mums! Looks like we’ll be back soon! Thanks to The Burrow for hosting us. Fri & Sat from 6pm, small plates & drinks from 5.30pm. Catering also available. Click here to view the catering menu.